Autodesk University 2012 is just a week away, and with both the 20th AU and Autodesk’s 30th birthday to celebrate, this should be an extraordinary conference. Fellow blogger Shaan Hurley authored a great “overall AU survival guide” post recently that you should certainly check out if you haven’t already. As noted in that post, you should expect & prepare to do a lot of walking while attending AU. That fact has always meant packing as lightly as possible, but in recent years packing lightly has meant relying on your smartphone and/or tablet. As those of us with smartphones and tablets know, the overall usefulness of these devices is largely defined by the apps you have installed. But what apps are the “must have” apps for surviving Autodesk University? Well I’m glad you asked. Having attended AU for many years now, I’ve compiled the following list based on my experiences at the conference. Set to launch any day now, the Autodesk University app will put everything you need to know about the conference in your pocket. The show guide says to keep an eye on the AU website, and twitter page for its launch. 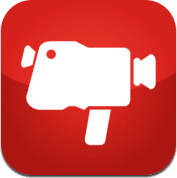 Autodesk acquired SocialCam earlier this year, and it’s an incredible app for sharing video clips in the same way you might share photos using Instagram. For most, traveling to AU means juggling flights, and probably a handful of other reservations. 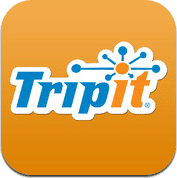 Tripit can combine all that into a single itinerary by simply forwarding your email confirmations. Download their free app, and you have everything you need to get to Vegas and back at your fingertips. I’ve long pondered which is more valuable; AU classes, or AU networking. Either way, the networking opportunities are immense, and you’ll want to keep track of the people you meet at the conference. If you’re not careful, you’ll return home with a stack full of business cards, and have no recollection why you chatted and gathered their card. 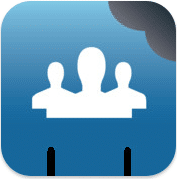 CardMunch is an excellent application that integrates with the popular business networking site Linkedin. Simply snap a photo of a new contacts business card, enter a few notes if you’d like, and the app will do the rest, letting you connect on Linkedin if you choose. Want to share contact information, exchange a photo you snapped? Bump is a seamless way to do all of the above. Autodesk University being a tech conference, there’s a good chance you’ll find fellow attendees with this installed on their phones as well. Autodesk University classes are among the best you can get anywhere, and you’ll certainly want to jot down all the great information tossed your way. This is one area where I will typically turn to my tablet, although some may choose to brave things on their phone. With notes in the thousands, this has become one of my everyday go-to apps. 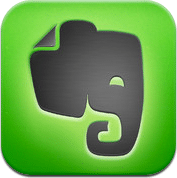 Evernote is an incredible note taking application that also features incredible search features, OCR, even integration with Google searches through a Chrome plugin. The team at Evernote has created apps for nearly every platform, meaning that all of our notes are on all of your devices, mobile, tablet, desktop, even web. 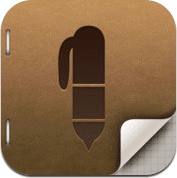 If you’d prefer a more tactile note taking experience, check out Penultimate. 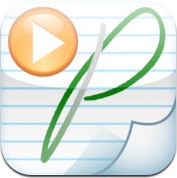 This app not only does an incredible job simulating taking notes with pen and paper, it also integrates with Evernote. Take a note, and store it forever, with OCR (handwriting recognition) to make it searchable inside Evernote. This isn’t an app, but I have to admit – I haven’t really taken to the stylus and tablet method of taking notes. Sometimes, the analog method of pen and paper prevails above technology. The Livescribe Echo is a smart pen that digitizes what you write. It syncs everything you write (with audio if you choose) to your computer. The desktop application also integrates with Evernote, making your notes searchable, and impossible to lose. 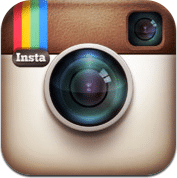 Autodesk University has become increasingly “social” in recent years. Regardless if you want to contribute to the conversation, or just listen in, you’ll certainly want a reliable app to stay plugged into the #AU2012 hashtag. The standard Twitter app is actually pretty good, but have a look at these apps to take things to the next level. 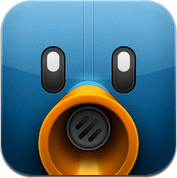 This is, in my opinion at least, the best twitter client for iOS today. It’s designed to do one thing (twitter), and do it extremely well. This is probably the fastest, most robust twitter app available on iOS today. 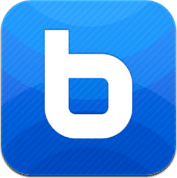 If speed if your priority, than this is the twitter app for you. If you want/need to simulcast your updates to multiple networks like twitter, Facebook, and Linkedin, Hootsuite is your go to app. I’ve long used Hootsuite to manage my social presence across all of the aforementioned social networks with great satisfaction. 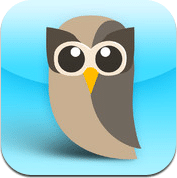 Although not as speedy as Tweetbot, Hootsuite offers an unrivaled versatility. If that versatility is your paramount requirement – choose Hootsuite. Autodesk University is a great deal of fun, but it’s important to remember that above all else – it’s a business conference. 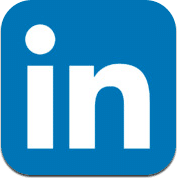 Being a business conference, be sure you have a Linkedin profile before you go, and work to connect with those you meet at the conference. The aforementioned Cardmunch application will help you establish connections, but the Linkedin app lets you harness those newfound contacts. There’s certainly no shortage of apps for sharing photos. Twitter and Facebook each have their own integrated photo sharing tools, but what keeps me coming back to Instagram is the ability to simulcast my photos to Twitter, Facebook, Flickr, and Foursquare if I choose. While the filters are certainly fun to play with, it should be noted that they are not required. The AUGI Beer Bust is a longstanding tradition of Autodesk University. Make your way to the exhibit hall after the AUGI Annual Meeting on Wednesday night, and raise a glass to several thousand friends. What better way to embrace the spirit of the AUGI Beet Bust than with a social network for beer. 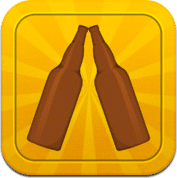 Untappd is a Facebook or Foursquare for beer. Simply grab a great brew during the AUGI Beer Bust, check into your beer, and repeat! 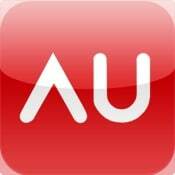 Do you have a favorite app that you consider essential for surviving Autodesk University 2012? If so, share it in the comments section below, and above all – safe travels to AU! I’m surprised that they haven’t been sruiking one of the Pixlr as an alternative to Instagram, as it is under the Autodesk umbrella now.